The American Red Cross is searching for eligible blood donors in the area to donate to a good cause - and get a free haircut for doing so. September is Childhood Cancer Awareness Month and the Red Cross is encouraging eligible donors to give blood to “support kids, teens and young adults battling cancer, as well as others in need of transfusions,” according to its press release. More than 15,000 children and adolescents in the United States are diagnosed with cancer each year, according to the National Cancer Institute. The Red Cross helps to suply blood products to people in need during chemotherapy, surgery or treatment for complications. 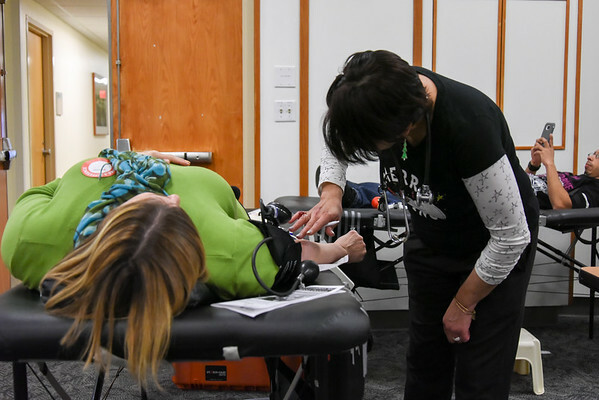 The Red Cross recently partnered with Sport Clips Haircuts so that donors will receive a free haircut after donating blood between Sept. 1 and 30. Anyone interested and eligible to donate is urged by the Red Cross to schedule an appointment through the American Red Cross Blood Donor app, online at RedCrossBlood.org/sport-clips or by calling 1-800-RED-CROSS (1-800-733-2767). Below are upcoming blood donation opportunities. Sept. 4: 9:30 a.m.-6 p.m., Central Connecticut State University, Student Center, Ella Grasso Blvd. Sept. 7: 10 a.m.-3 p.m., Our Lady of Mercy, 19 South Canal St.
Sept. 14: 11 a.m.-4 p.m., Raymour & Flanigan, 3375 Berlin Turnpike. Sept. 5: 11:45 a.m.-5:30 p.m., American Red Cross Farmington Blood Donation Center, 209 Farmington Ave.
Sept. 8: 6:30 a.m.-11:30 a.m., American Red Cross Farmington Blood Donation Center, 209 Farmington Ave.
Sept.12: 11:45 a.m.-5:30 p.m., American Red Cross Farmington Blood Donation Center, 209 Farmington Ave.
Sept. 15: 6:30-11:30 a.m., American Red Cross Farmington Blood Donation Center, 209 Farmington Ave.
Sept. 4: 9 a.m.-2 p.m., Healthtrax, 842 Clark Ave.
Sept. 11: 1-6 p.m., Elks Lodge, 126 South St.
Sept. 13: 10 a.m.-3 p.m., Bristol Senior Center, 240 Stafford Ave.
Posted in New Britain Herald, New Britain, Newington, Plainville on Sunday, 2 September 2018 20:46. Updated: Sunday, 2 September 2018 20:48.